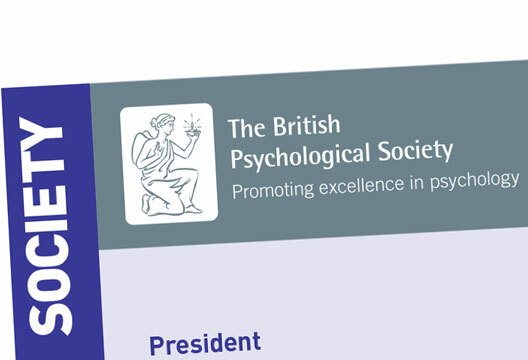 I have now had the pleasure of serving in the office of President of the British Psychological Society for around six months, so it’s timely to reflect on my role. The British Psychological Society is a charity, charged with ‘the advancement and diffusion of a knowledge of psychology pure and applied’. This means bringing the science, professional skills and values of the discipline to the benefit of the general public. In truth, the Society does not exist for its own benefit, or even primarily for the benefit of its members. As a charity, our work must be for the public benefit. This appeals to me, and reflects my activities over the past six months. A good example of this work, applying psychology for the benefit of the public, was a recent conference in Scotland, examining some of the failings of compassion in care services. Recent problems in the NHS and social care settings are examples of real failures of empathy and compassion. Psychologists have no monopoly on valid analysis of this complex issue, and we are not the only people with potential solutions. But we do have particular insights. We have perspectives on how external, structural, pressures affect the ways in which people think and feel, and hence affect their behaviour. But as psychologists, we also use our science to help make sense of human nature. We don’t just sympathise, we empathise. That is, at least from my perspective, other people aren’t simply seen as different or disordered but deserving of sympathy. Instead we understand how we all make sense of the world, how we’d behave, feel and think in the circumstances in which our colleagues and friends find themselves. This is rather more empathy than sympathy. So I am passionately proud of how we as psychologists can approach a problem, review the relevant literature, understand the relevant science and apply that knowledge to explore potential solutions. And psychology has a massive potential reach… which means the role of President of the BPS can be a time-consuming one. Last week, travelling on behalf of the Society, I visited Brighton, London, Edinburgh, London (again) and Llandudno. So the role is also an effortful and even expensive one. But that caused me to reflect on the fact that even in the age of teleconferences, email, Skype and Google, human contact in the form of conferences and face-to-face meetings is still essential to all forms of business. And that’s rather lovely, especially for the BPS. In the age of internet technology, psychology is just as important as it was in the age of the quill pen. And so, at least for the next six months, I’ll put as much effort as I can into meeting as many members of the Society, and members of the general public, advancing and diffusing a knowledge of psychology pure and applied.